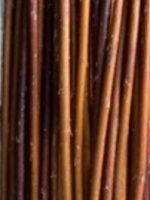 We supply a wide range of living willow Rods (whips) from 1.5 – 3 meters long as standard plus special order willow up to 15′ (5 meters) long. 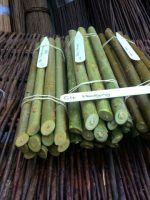 A substantial range of our living willow structures and kits including Wigwams, Domes, Igloos, Tunnels, Arbours, Arches and living lattice hedging (fedge) are available as easy to build DIY kits. We also offer a supply and install service using our standard kits or bespoke design to your specifications. 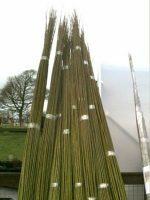 In addition we still produce an affordable range of living willow structures, Tunnels, Arbours, Domes and Wigwams supplied in kit form from £ 39.00 as well as willow cuttings for sale online from £3.95 and collections of cuttings from £10.50 per pack of 24. To certify and maintain the high standards practiced by us we are registered with the ‘Soil Association’. All the willow and willow products sold by us are certified as organic and are labeled UK5 Certified. Harvesting is undertaken by hand with the harvested crop being allowed to dry naturally. 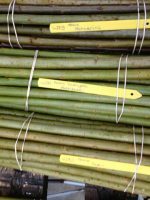 If you would like more information about any of our living willow structures, willow cuttings or any other products for sale online, please get in touch through our dedicated contact page. See our living willow structures at THE ROYAL BOTANIC GARDENS at KEW.